Summer is my favorite season for many, many reasons. 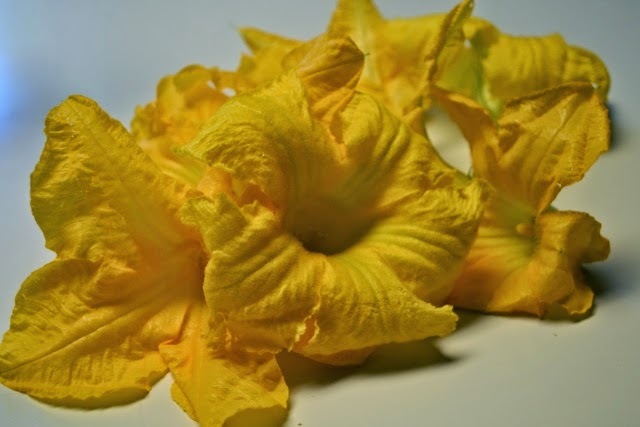 One reason I love summer is squash blossoms. You can't go out and buy them, you have to grow squash plants to be able to take advantage of these lovely blossoms. What, you may ask, would I want squash blossoms for? I use them in a recipe that has been passed down for generations in my family--squash blossom patties. I love them and my kids love them. We were late getting the garden planted this year due to weather and my mother's illness and passing. However, this is the week we finally have squash blossoms! The recipe is very simple. When picking your blossoms, make sure you pick the ones that are not producing fruit. It is easy to tel because the fruit producing blossoms will have a ball at the stem of the blossom. It is best to pick in the morning before they close. If picking later in the day, be cautious as sometimes the blossom closes with a bee trapped inside. Gently wash blossoms can keep in the refrigerator in a bowl of ice water till ready to use. 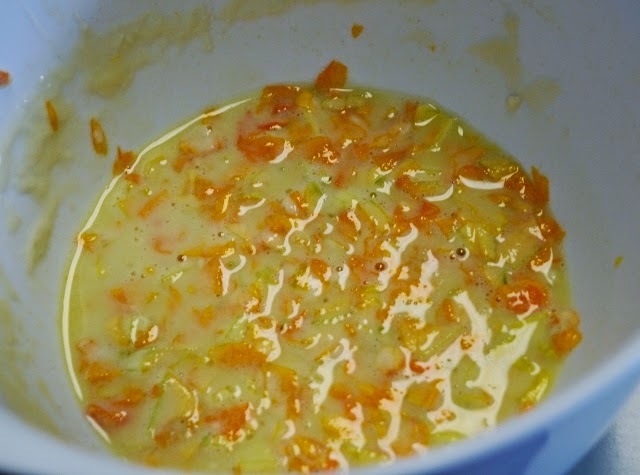 Mix the flour, milk and egg. Add the blossoms. You may want to add a bit more milk for a thinner batter if you like. 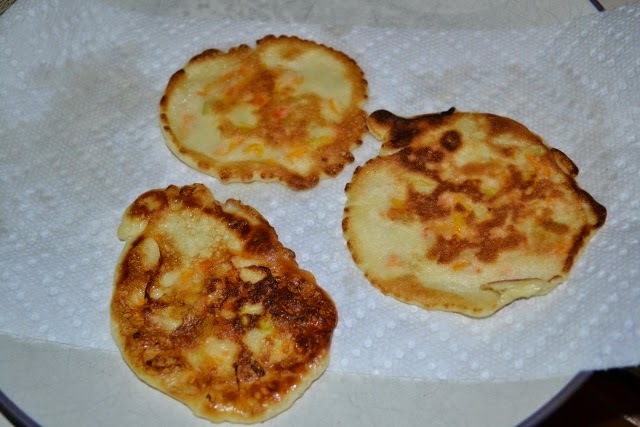 The thinner pancake is crispier, which we prefer. 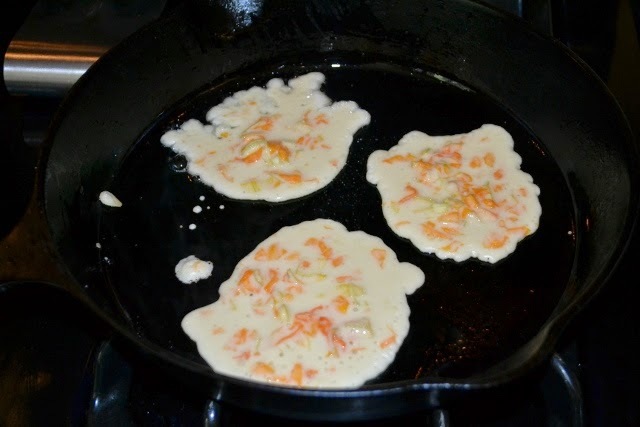 I cook mine in an oiled cast iron skillet, however, you could also use a griddle. Add salt to taste while cooking. After cooking, place on paper towel lined plate to absorb grease.